When planning a weekend trip with family and friends, most of as almost always end up packing way more things than we need, which eventually results in our cars being overloaded with stuff and little-to-no space to comfortably enjoy the ride. And honestly, what’s the point of going for a holiday away if you’re going to get all stressed about the lack of room in your car from the get-go? For that very reason, manufacturers who specialize in accessories for 4WD vehicles have come up with the ideal solution – roof cargo bags. With a roof cargo bag, you can free up all the cabin space so that the rest of your party can enjoy the ride comfortably. This way, you’ll have all of your belongings in the trunk and on your roof safely secured and out of everyone’s way. If you’re afraid that rain might drench your belongings, you should just pick a waterproof cargo bag. A cargo bag can easily be installed onto your vehicle, and you don’t need to install crossbars. 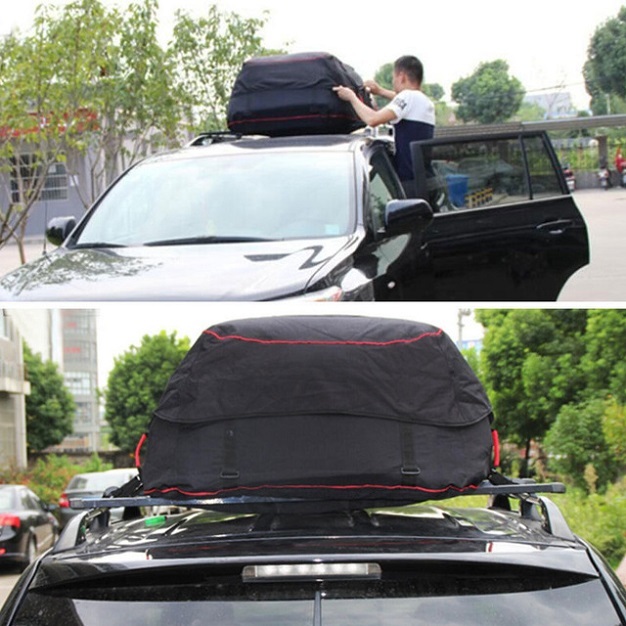 As long as you have roof rails, you’ll easily tie the bag down using straps. There are many advantages to having these accessories for 4WD vehicles. The first that comes to mind is the ability to transport bulky items and oddly-shaped items. They’re quite affordable when compared to other luggage solutions, and they’re easy to store when not in use, thanks to the light fabric they’re made of. And of course, they will protect your belongings regardless of the weather. You can never be entirely sure of what’s the weather going to be like when traveling. It can be bright and sunny one moment, and then it can be pouring rain and be extremely windy an hour later, so having a waterproof luggage solution can definitely give you peace of mind when on the road. However, as is with most 4WD accessories, these come with a couple of drawbacks as well. For instance, you can expect some increased drag and turbulence when installing a cargo bag. This is due to the fact that the bag will alter the aerodynamic shape of your vehicle. And if you don’t pack the bag to its full potential, you might hear excess material flapping in the wind. Nevertheless, provided that you keep these things in mind, you won’t be surprised by their effect. When buying a roof cargo bag, you should measure your roof first and then look for a bag that fits it. While two bags can have a similar capacity, they may have different measurements. The width of the bag is extremely important, and it shouldn’t be wider than the width of your vehicle. Furthermore, you need to consider the attachment method. You can choose between attaching straps on the crossbars or roof rails, you can loop the straps under the roof, or you can use hooks to grab the window frames.